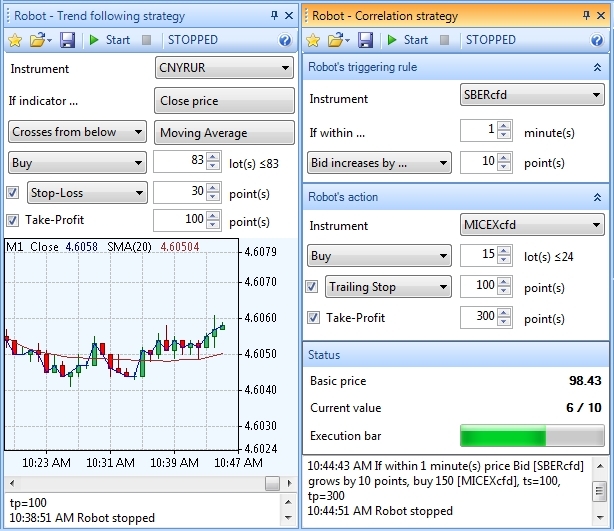 In 2011 Kalita-Finance released its latest iTrader 8 with embedded algotool GUI-Robot that allows traders to implement different correlation and trend following strategies. The Kalita-Finance trading platform which has 115 investment instruments, makes it possible to develop and implement hundreds of trading strategies. The most popular strategies relate USDRUR currency pair to the price movement of Oil BRENT, Gold or bi-currency basket of Bank of Russia. Such algorithmic trading tools embedded into a GUI have proved to be the most effective solution for retail and institutional clients. GUI-Robot and Chart-Within-Interface (CWI), two newest concepts of software engineering for financial markets became very useful these days. Presentations of GUI-Robot (trading name in Russia - Robot iTrader) took place at EXTENT Trading Technologies Trends & Quality Assurance conference (Kostroma, 13 April 2012) and TradeTech China (Shanghai, 18 April 2012). Please see more in English in animated video Hi, I'm GUI-Robot or at GUI-Robot website. Kalita-Finance glad to present to you the latest innovations of our multi-asset electronic trading platform, the GUI-Robot. In the end the last year Kalita-Finance released its new GUI Robot algo-tool that allows traders to develop and implement hundreds of different correlation and trend-following strategies. 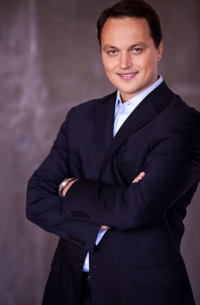 This trading tool proved to be the most effective solution for retail and institutional clients in Russia. And I believe it will help you to develop your business too.